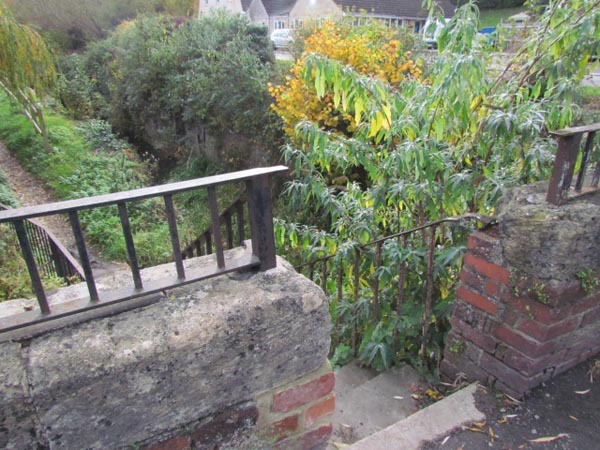 Steep steps descend from road level to the canalside here. 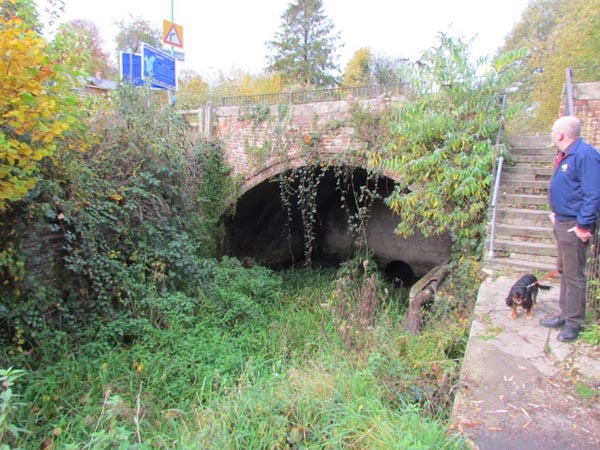 The canal at Bowbridge is quite overgrown, needing a lot of clearance work. 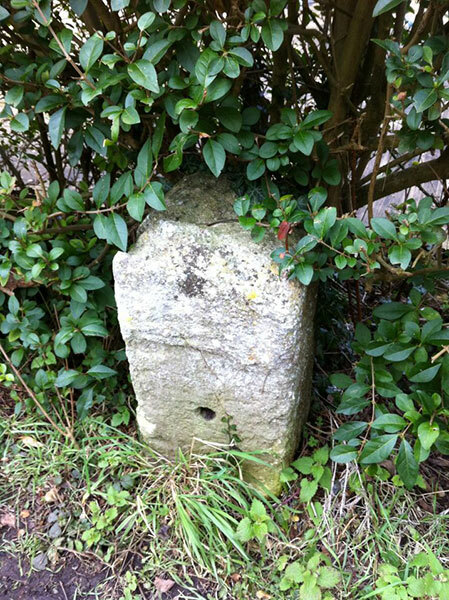 One of a very few remaining Thames & Severn Canal mileposts is hidden away here near to Bowbridge.